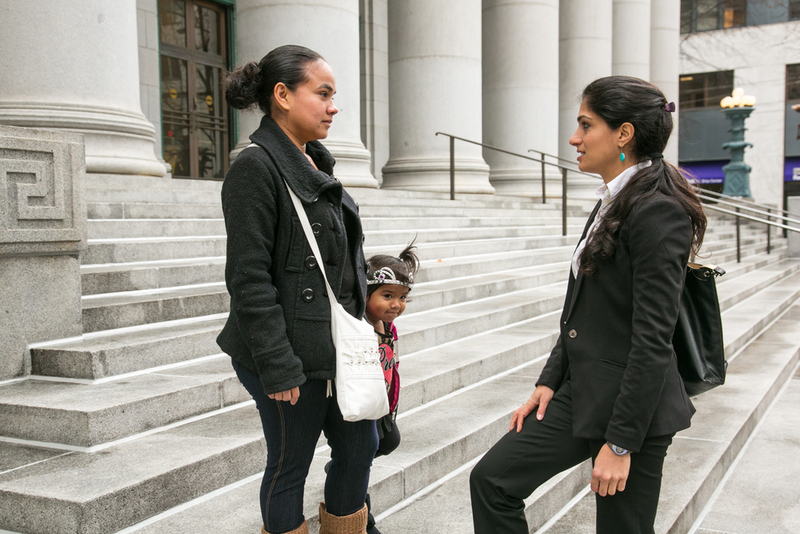 Immigrants who are in deportation proceedings have avenues to lawful status and Pangea staff is here to advocate for them through legal representation, community empowerment, and policy advocacy. To schedule a consultation, please call (415) 254-0475. Deportation or removal defense is the representation of immigrants who are at risk of being deported and have to appear before an immigration body like the immigration court, ICE, or CBP. Anyone who is not a United States citizen can be deported. Undocumented immigrants are particularly at high risk of deportation. This includes people who entered the US without inspection, people with previous deportation orders; and people who overstayed their visas. Others who risk deportation include non-citizens with permanent or temporary status like green card holders or DACA recipients, if they have a past arrest or conviction. Navigating the immigration system can be complicated and it can take years to complete some processes, but there are many defenses to deportation that immigrants can pursue. Watch this video to get a glimpse of what an asylum seeker in immigration court proceedings goes through. Pangea's detained legal services program focuses on creating access to counsel through advocacy strategies and by directly assisting immigrants detained by ICE in local jails and private detention facilities. While Pangea has represented immigrants in detention facilities across the nation, our focus is on the facilities in the San Francisco Immigration Court jurisdiction at West County Detention Center (Richmond, CA), Yuba County Jail (Marysville, CA), Mesa Verde Detention Facility (Bakersfield, CA) and Rio Cosumnes Correctional Center (Elk Grove, CA). Pangea attorneys represent all clients in immigration detention on a pro bono basis. 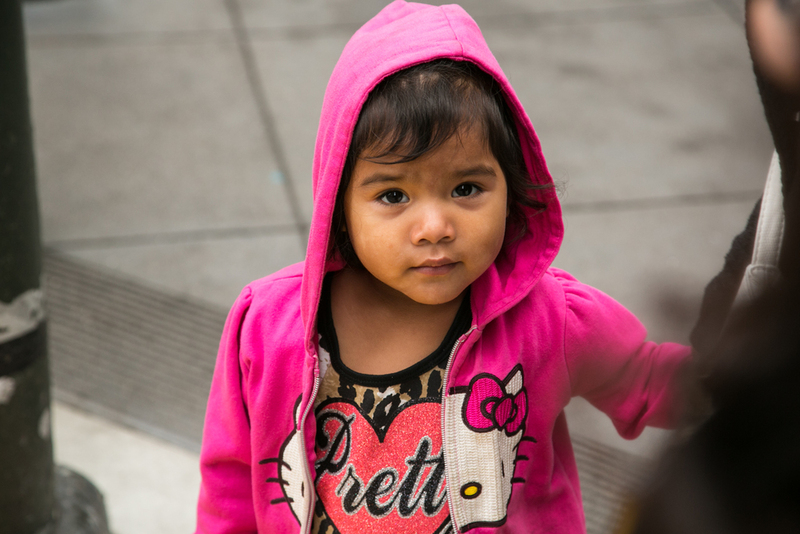 immigration detention has the most detrimental impact on children and families. 7-year-old Leslie, a U.S. citizen, drew this picture (above) for her uncle who was detained by immigration for 6 months. Pangea represented Leslie's uncle and successfully reunited the family. 6-year-old Jaclyn, a U.S. citizen, wrote this letter (above) for her mom while she was detained by immigration for over 6 months. 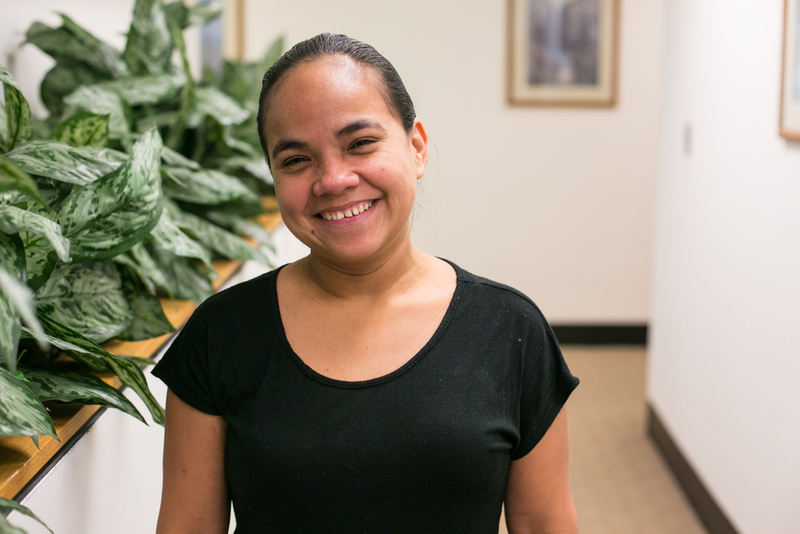 Pangea Legal Services worked together with Public Counsel in Los Angeles to represent Jaclyn's mother and successfully secured her release from immigrant detention. Josue (in video above, and letter to right) makes a birthday wish to have his dad back to play with him and his toys. Josue's father was in immigration detention for six months. 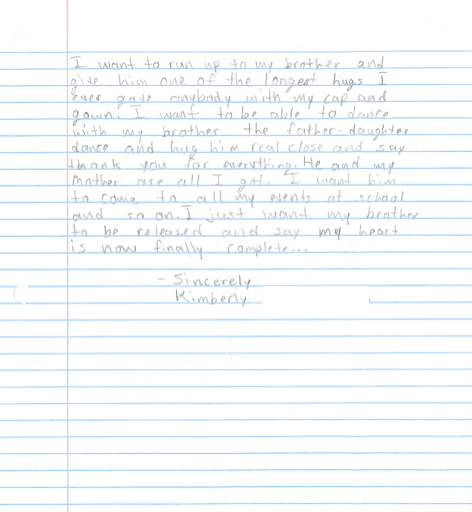 14-year-old Kimberly, a U.S. citizen wrote this letter (above) to her older brother who was detained for 6 months by immigration. Pangea Legal Services successfully represented the brother and reunited him with Kimberly. Our attorneys conduct legal intakes twice a week over the phone with family members or friends seeking advice or representation for a detained loved one. Whenever possible, Pangea takes on representation before the San Francisco detained Immigration Court and other agencies processing detained cases. Our attorneys strive to provide free, full-scope representation to an increasing number of detained individuals, as part of a collective effort to achieve universal representation. Our policy advocacy work is informed by our direct representation and community empowerment efforts. In each step of the way, we weave in our client stories and voices to make recommendations and ask for more just immigration policies for our community. 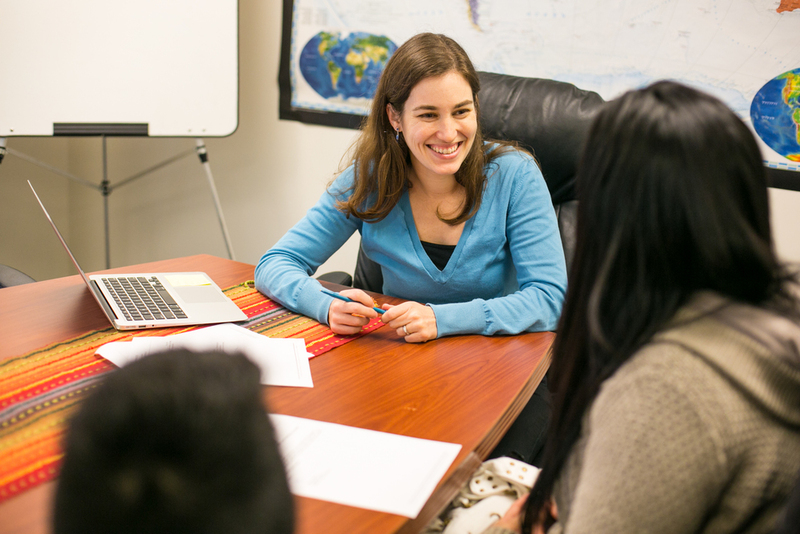 Pangea staff and volunteers regularly organize and collaborate with partners to participate in know-your-rights workshops and immigration clinics providing educational programs and consultations to immigrant communities. Pangea also strives to build a community-based deportation defense model that does more than provide high-quality representation. We try to empower our clients to become agents of change in their community by connecting them with local grassroots groups and giving them opportunities to share their stories with the public, media, and elected officials. Take, for example, the case of Ernesto. Ernesto was in immigration detention for about 6 months. Pangea connected Ernesto’s family with community leaders; we circulated a petition and gathered 750 signatures calling for Ernesto’s release; Ernesto’s family met with a local senator to share how family separation had placed them on the brink of homelessness; and the community participated in a public rally in front of ICE to demand Ernesto’s liberation from detention. In part due to these efforts, Ernesto was released from detention and reunited with his wife, children, and newborn granddaughter just in time for Christmas. And in the process, Ernesto and his family were transformed into community leaders. Ernesto is now a regular at community events and has become a source of strength for other families experiencing separation and detention.